Geneva, 3 September 2017: Lion, tiger, leopard and jaguar are all majestic animals and symbols of power and courage. Yet globally they all face significant threats to their survival in the wild. All of the world's big cats will come under the international spotlight on World Wildlife Day 2018, as the CITES Secretariat, the UN-designated global facilitator of the World Wildlife Day, today announced the theme of the most prominent global annual wildlife event as ‘big cats’. Big cats are among the most widely recognized and admired animals across the globe. However, today these charismatic predators are facing many and varied threats, which are mostly caused by human activities. Overall, their populations are declining at a disturbing rate due to loss of habitat and prey, conflicts with people, poaching and illegal trade. For example, tiger populations plummeted by 95% over the past 100 years and African lion populations dropped by 40% in just 20 years. But a range of measures are underway to arrest this decline. In an effort to reach as wide an audience as possible, the expanded definition of big cats is being used, which includes not only lion, tiger, leopard and jaguar -- the 4 largest wild cats that can roar - but also cheetah, snow leopard, puma, clouded leopard, etc. Big cat species are found in Africa, Asia, and North, Central and South America, representing a virtually global distribution, and representations of big cats, such as for car logos, by sporting clubs and the fashion industry, are used globally. 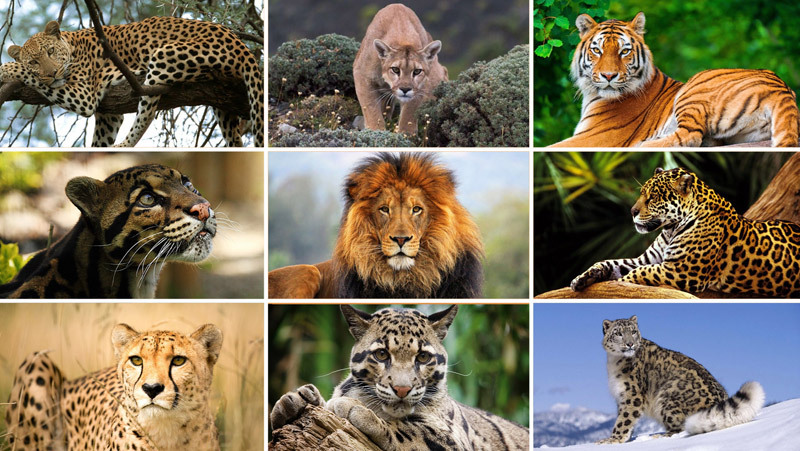 While big cats are found across several continents, trade in these wild animals and their products is global and comes in many forms, including as live animals, for decoration, fashion and medicine, and as hunting trophies. As an example, almost every part of a tiger has a market - but international commercial trade in the species has been prohibited since 1987. As noted in the first UN World Wildlife Crime Report published by UNODC in 2016, international illegal trade in big cat skins reflects many of the characteristics that are indicative of organized criminal activity. “All big cats are protected under CITES due to the fact that unregulated and illegal trade poses serious threats to their survival. For nearly 20 years, CITES has highlighted the role of organized criminal activity in the illicit trafficking in Asian big cats, which have always been high on the CITES agenda, and over the last seven years we have seen our efforts to combat transnational organised wildlife crime at global level and on the front lines significantly enhanced”, added Scanlon. In line with the UN General Assembly Resolution proclaiming World Wildlife Day, the CITES Secretariat calls on all member States and organizations of the United Nations system and other global, regional and sub-regional organizations, non-governmental organizations and all interested individuals, to: observe and raise awareness of the theme for World Wildlife Day 2018 in an appropriate manner; to associate the celebrations with major national and international conservation events, where appropriate; to organize campaigns to reduce the demand for illegal wildlife and their products using targeted strategies in order to influence consumer behaviour; and to make use of the World Wildlife Day logo as widely as possible. 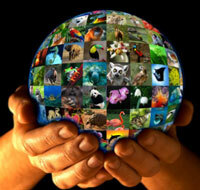 The World Wildlife Day logo remains the same each year and it is freely available to use. It can be found in the six working languages of the UN from the World Wildlife Day website, which is administered by the CITES Secretariat. More information on the situation of all big cat species and promotional materials to illustrate the theme will be made available at a later stage.